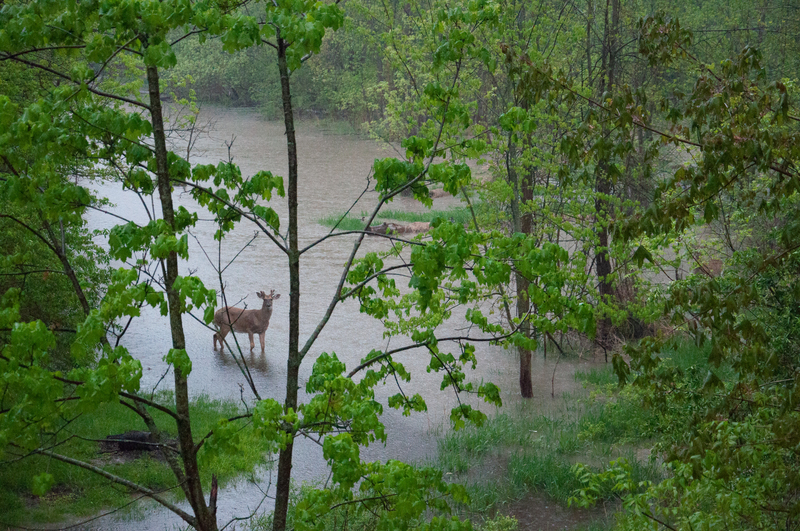 This young buck slowly plodded through the flooded field this Saturday morning after long, heavy rains over night. When I saw him I quickly grabbed my camera, whistled to catch his attention, and snapped a few pictures. Fun photo app! The buck didn’t pose long and continued his walk across the filed and behind the trees.